Post subject: Aruba pays the most taxes in the World ? I was reading on theglobalecononmy.com that Aruba is now the highest taxed country in the world . I was also surprised to see the USA is now paying more taxes than Canada . Post subject: Re: Aruba pays the most taxes in the World ? Wait until the Liberals in the US see this, they are not going to be happy! To be fair one would have to look at what criteria they used. It's no secret that Aruba has no problem figuring out creative ways to tax visitors and residents just like everywhere else in the world. 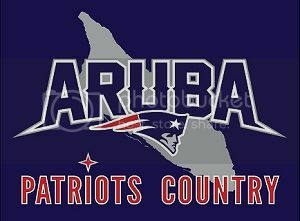 I will spend a couple extra bucks in Aruba this year(topical) as a result. This "fact" has already been discussed before and is taken out of context. The rate only applies to wage earners who make over a certain amount. It's not every Aruban who pays this rate. The United States could raise the entrance fee from $10 to $50 per visitor and pay off a lot of debt. In fact, charge an extra tax to go see Mickey Mouse in Disney Land or Disney World for non residents and let's pay our debt down. Not hard. Maybe a MIckey Tax for visitors and a Minnie tax for locals ?